The Minutes of Trinity Presbytery are available here as downloadable PDF documents. Minutes are available online for the last four (4) stated presbytery meetings beginning with the February 11, 2017 Stated Meeting. The PDF documents are password protected. If you do not know the password, please contact your pastor. If you do not have a pastor, please contact the Presbytery Office. Presbytery Minutes are typically available within 10 days following the next Presbytery Meeting, after Presbytery approves the actions of the Coordinating Team. Commissioner Handbooks are available 10 days prior to a Presbytery Meeting. Handbook Supplements (if there is one) are available 2 days prior to a Presbytery meeting. 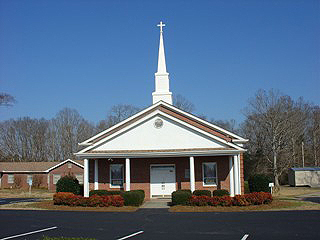 The February Stated Meeting will be held at Westminster Presbyterian Church in Greenwood, SC. The May Stated Meeting will be held at Trinity Presbyterian Church in Columbia, SC. The location(s) of the August Stated Meeting have yet to be determined. This will be updated when they are. The November Stated Meeting will be held at Seven Oaks Presbyterian Church in Columbia, SC. The February Stated Meeting of Trinity Presbytery was held at Westminster Presbyterian Church in Columbia, SC. The August Stated Meeting of Trinity Presbytery was held at five (5) locations throughout the presbytery. The May Stated Meeting of Trinity Presbytery was held at Little Mountain Presbyterian Church in Abbeville, SC. The November Stated Meeting of Trinity Presbytery was held at Sion Presbyterian Church in Winnsboro, SC. The February Stated Meeting of Trinity Presbytery was held at First Presbyterian Church of Greenwood, SC. The May Stated Meeting of Trinity Presbytery was held at Congaree Presbyterian Church in Cayce, SC. The August Stated Meeting of Trinity Presbytery was held in five (5) locations throughout the presbytery. The November Stated Meeting of Trinity Presbytery will be held at Northminster Presbyterian Church in Columbia, SC.